This is my favorite dessert to make at home. Make it once and I promise you’ll be hooked. It takes less time to make than it takes to get into your car and drive to get frozen yogurt/ice cream and you only need 3 ingredients (all three of which you can buy package free- bananas, almonds for almond milk, and peanut butter!). 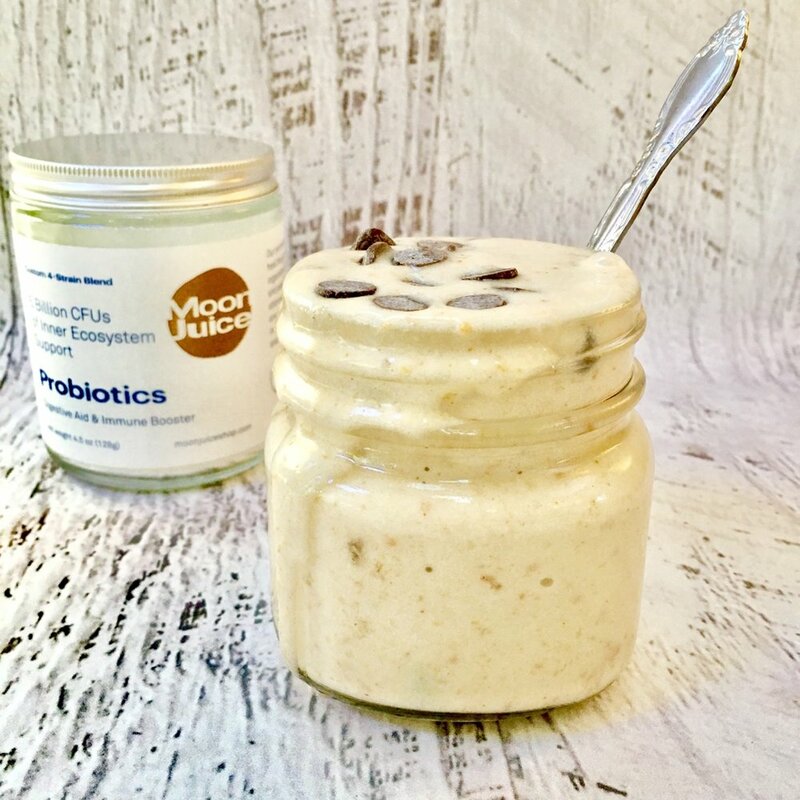 If you want to give your gut an extra hug, you can stir in some probiotics! Eat up friends! This recipe is vegan, vegetarian, gluten free, dairy free, and zero waste! Add the almond milk to your high speed blender first, followed by the frozen banana and peanut butter. Blend until creamy. Transfer to a bowl and top with your favorite toppings (dark chocolate chips, cacao nibs, coconut shreds) and serve immediately! Note: You can also prepare this with fresh bananas and then freeze the entire mixture. And, if you want to read more about how to prevent your bananas from going brown and going to waste, check out this article from Women’s Health.